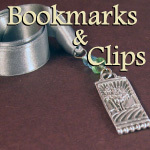 Celebrate one's rebirth in Christ with this unique, commemorative Sacraments Baptism Bookmark. 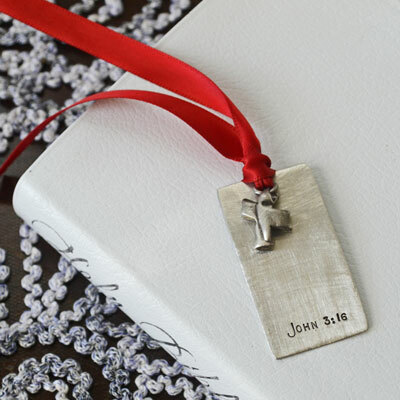 Crafted in affordably priced pewter, your dog tag bookmark comes stamped with the words, "John 3:16" and our Cross Charm (3/4"), arranged together on red satin ribbon. For an additional $13 add a person's name (up to 10 characters). Allow up to 1 week for hand stamping.